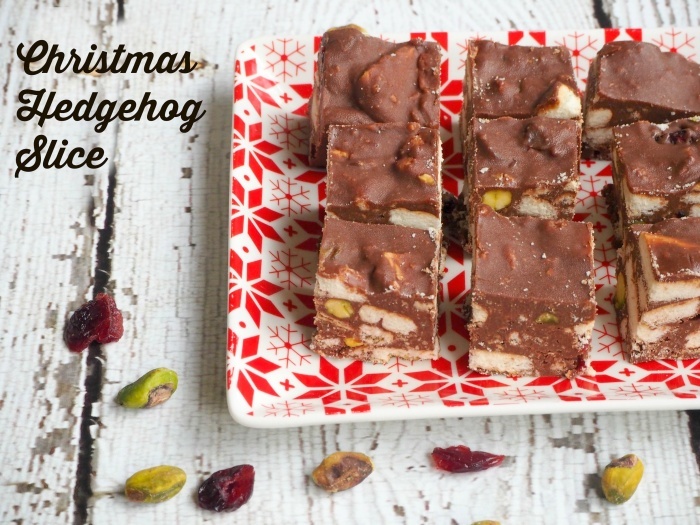 Hedgehog slice is a big slab of old school deliciousness, especially this version with a festive twist. I tried to cover all my bases, so I’ve included the Thermomix and the stove top version, so no one needs to miss out! Place biscuit pieces in large bowl with cranberries and pistachios; add chocolate mixture, stir to combine. Spread mixture into pan, cover; refrigerate about 4 hours or until firm. Remove from pan and cut into squares. Add biscuit pieces, cranberries and pistachios and combine for 20 seconds on reverse speed 3 using the spatula to assist.